A new startup on the web called Productive Web Apps is a boon for all those businesses looking for a reliable directory of the most popular web based applications on the web. Web apps are not just for businesses and work, but in fact everyone. The website lists these apps according to categories, which include apps for social media, games, music, finance etc. The idea behind the web apps directory works by looking at what really interests people while browsing the web for apps that they want. What Productive Web Apps does is simplifies the task for you, and makes it a more fun experience. 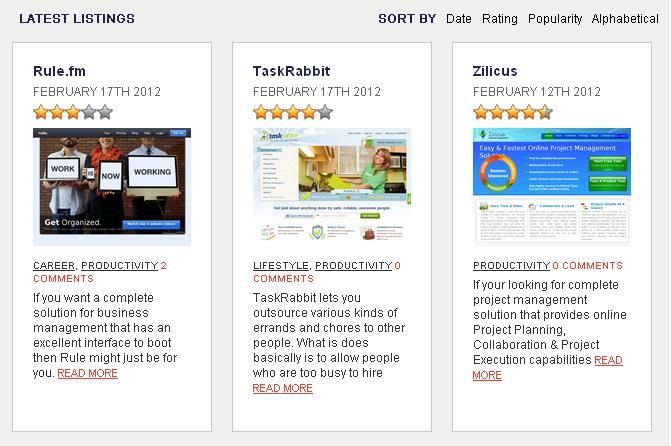 The web service lets users quickly search, sort, compare, rate and comment on hundreds of apps available on the Internet. For Scott Purcell, the lack of the ability to subscribe to RSS feeds and receive regular updates on the Chrome Web Store drove him to start Productive Web Apps. In addition to what lacked in the Web Store, Purcell also went ahead and built features which would allow users to receive regular updates about new apps with short descriptions, a screenshot and a summary of its key features. The website allows users to look for apps and sort them according to popularity, rating, date added or even alphabetically. Besides this, a user's job is extremely easy with the service, since the PWA team has reviewed each app, put select ones in the featured category and giving a link for each app. Furthermore, PWA has made web traffic generation much easier for developers as well. There is also the Submit a Site page which can be used by developers and users alike to list an app which is not given by PWA already.